Finishing your STPM, UEC or A-Level blah blah blah? Then what is NEXT? If you have the intention to further study in Singapore, then this is the post you need to read before you MAKE A CHOICE. Let me share my experience with you first. I am a Johorean who graduated from Foon Yew High School in 2005. At that time, I knew nothing about what I am supposed to do next as I have no elder brother or sister as a reference. Due to the limited financial support I have from my family, further studies outside of Malaysia & Singapore is not an option. 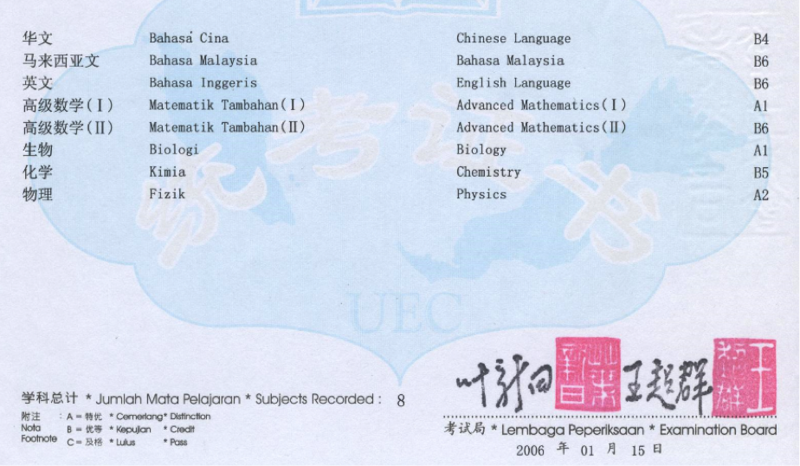 However, when I applied to the local universities in Singapore, I failed because of my lousy UEC result. At that time, a minimum number of 4As was required in order to enter NTU, while I gotten only 3As (why didn't I have my last A!?). Tips: English must be an "A" in order to secure a place in Singapore local universities. My FIRST takeaway - You really need to work hard for your pre-U exam to be in a better position to choose your next path. Eventually, I listened to my dad (a wrong advisor) and chose a 3-year Diploma course in Bioelectronics (DBE) in Singapore Polytechnic (SP). My SECOND takeaway - With my UEC results, I could have gone to other Universities, probably in Malaysia for a degree. By going to Polytechinic in Singapore, you need 2/3 years to obtain a diploma and another 3/4 years for a degree in a Singapore local University, which means that you take a total of minimum 5 years to get a degree. I finished my Diploma in Bioelectronic in 2009 and continued with a degree in Electrical & Electronic Engineering (EEE) in Nanyang Technological University (NTU). I chose EEE simply because it gave me 1-year exemption in NTU (normally 4 years for EEE). Then I graduated in 2012 with CGPA of 4.01 (So lucky, it was just barely Second Upper Class Honours!) and worked for Panasonic Semiconductor from 2 Jul 2012 to 31 Oct 2014 as one of their scholars. And now, I am making a switch in industry after realising my passion is not engineering (it took me so many years to find out). My THIRD takeaway - Choose your Major & Career carefully. Do not just follow the default path or be fooled by the promise of early graduation. Follow your heart and choose something you love (with reasonable prospects). When you realise you are in the wrong direction, try the very best to make the switch as early as possible. High employment rate and a strong currency in Singapore seem alluring, but there is more than what meets the eye. The costs (including tuition fee, living allowance, etc) of studying in Singapore are much higher than that in Malaysia, even with the support of Tuition Grant by the Singapore Government. Furthermore, in recent years, the government is stepping in to limit the number of foreigners fighting for jobs with Singaporeans (after their infamous series of complains). Hence you must be mentally prepared to work in industries that you don’t like or even in Malaysia upon graduation. On the other hand, if you are just looking at completing a degree with low costs, studying in Malaysia (even in KL) might be a better idea with the support of PTPTN. With good results, it is also not that hard to get a scholarship in Malaysia universities. Popular courses like medicine, law and business are almost impossible for foreigners to get into. Singapore applicants love to choose business or finance based majors. Afterall, Singapore is a well-known financial hub and that’s where all the money is. Therefore, foreigners typically end up in courses pertaining to engineering or sciences. It is understandable since every country wants to protect their citizens. Hence, if you are looking at a major like business or accounting, you must be a straight "A"s student in order to compete with Singaporeans. Google search “Digital Senior IGP of NUS, NTU & SMU for A-level holder”, it will give you an insight of how popular each course is. Competition is intense in Singapore in every area. Even individual universities are fighting to woo talents like you. The information you see on their official websites provide a very narrow perspective of life within the university itself. Sometimes it can be misleading. Many Malaysian students I know have difficulties adjusting to the fast-paced culture in Singapore. Therefore, apart from researching on official sources, you should seek advice from people around you, especially your seniors who are studying in or have studied in those universities. You should also look at third-party websites with content contributed for students, by students such as www.Malaysia-Students.com and www.DigitalSenior.sg to find out more hidden facts about the universities in Singapore & Malaysia. So much for the warnings, I am sounding like an old man now. Despite being slower than all my peers who studied in Malaysia, I have no regrets nonetheless about my choice. Here’s the good side: Singapore local universities are globally reputed. (Check out the comparison of 3 Universities). And I am grateful for being a student in NTU which provides sophisticated facilities, forest-like campus, crazy CCA activities, infinite overseas exposure as well as unlimited opportunities to get in touch with different people from different background. If you are looking at a holistic campus life, then I believe Singapore local universities may be suitable for you. Choosing university & course is totally different from selecting your secondary school in Malaysia. Consider the 3 main Questions: What is your dream, passion or interest? What is your capability or strength? Which path will have a better prospect or potential in future? It might give a clearer or narrower list of choices for the next phase of your journey. In the end, no one really responsible for your success except you. All the best to your tertiary education journey! i want to continue my education at oversea but how can i get it? Singapore is a great city really. Though some students complain that it's difficult to study there and they use essay writing help and in such a case they succeed in all subjects. Those of the certifications ideas will make good impact for the students who does not find enough way to get themselves to such conditions where they actually wants to sees them off.